Ups and downs of order to confusion to order. 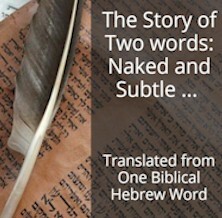 That is the story of the Bible in two words. Ups and downs, order to confusion to order. That’s how the Bible starts out and that’s how the Bible continues. In fact you could sum up the Bible story with just these two words. This is a transition blog post. Because in Genesis 1 verses 1 and 2 we have gone on a roller-coaster ride. Ups and downs, curves and sliders like you’ve never seen before. We’ve gone from order to chaos in 2 different but related spheres. Firstly with the nature of the Cherub changing to the Serpent and secondly the destruction of Earth and its environs. The rest of the Bible story reveals how the final up will be restored. But only after many ups and downs.That’s the nature of the entire Bible story. We need to take a step back and get an overview of what’s happening here. This is the big picture of all the actors and props in the Bible story. The inter-relationship between them and their roles in these ups and downs. I have three separate aspects we will broach today. Wayyiktol … a wee bit of Biblical Hebrew grammar … but it’s worth it. According to our story He is the Prime character of the Bible story. He’s the Producer, Author and Director. If I had to draw an analogy it would be a shipowner who designs and builds one of those magnificent cruise ships we see today. He sets the itinerary from San Francisco via Hawaii to its destination, Melbourne. He then sells the tickets and a few hundred people board his ship for the sumptuous cruise. His passengers can do whatever they want on board that ship during the cruise… They have access to everything: food, clothing, lodging, entertainment… whatever they need. There are rules on board but there is also free will. Passengers can follow the rules or do their own thing with subsequent consequences because the shipowner has placed a crew of sailors and staff including security personnel aboard his ship. In our cruise ship analogy, these created beings are the crew and passengers aboard. This chapter of Origin of the Universe focused on the Cherub turned Serpent. We saw that it was a created spirit being … in the day you were created (Ezekiel 28.13-15). The next chapter, after this transition, of The Explanation and the rest of the Bible will deal with the creation of physical beings. The whys, hows and whats. Both the spirit and about-to-be-created human beings are aboard the ship. It’s going to be quite a trip. We all are very aware of time, we carry a timepiece, punch the clock and live out the seconds, minutes, hours, days, weeks, months, years of our lifetime. We talk about the past: Periods of history: Middle Ages, pre-history: and we’ve discussed the beginning of Earth (4.5 billion years ago) and that of our Universe (13.7 billion years ago). We talk about the future: We dream about this and that, we make projects to depart for some exotic vacation, have children, retirement and we write a testament and prepare our own funerals. We forecast the weather and plan concerts, football matches and an entire season on a calendar. We even look far, far into the future and the lifespan of planet Earth… another 10 billion years some scientists are surmising. The Bible uses a term we have great difficulty with: Eternity—time with no beginning and no end—endless time. Transhumanism is trying to make that a reality for human beings, Cryonics is the science of preserving a human body in freeze conditions, for the necessary time, until we have the technology to heal sickness of maintain life indefinitely. This is a massive field of medical and life-extension development today. I’m not discussing the merits or demerits of such a practice, I’m evoking this solely to point out that humankind is well aware of time—future-time—and is in full preparation trying to make the best of that time. When ecology says ‘what heritage will we leave our children and grandchildren’ we’re discussing future time. The time frame for the shipowner and passengers is exactly the transit time from San Francisco to Melbourne. I’m going to call this a spaceframe—to parallel the timeframe. In my first book Inventory of the Universe I clearly pointed out that one of the puzzle pieces is Earth. Earth in the sense of everything material in the form of the elements of the periodic table, from boron to zirconium. Combined atoms and molecules of these elements compose the material world—including humankind—this is the spaceframe we exist in. I evoked the reality when I said humans can play with this material-world, they can shape, sculpture, mould and cast it into any form they want for their pleasure or displeasure. The space frame for the passengers aboard the ship is everything and everyone onboard and their interplay during the cruise. Always dynamic, always ups and downs. Everything fits into these four elements. All of these elements are dynamic, never static, ever-changing. There’s an interplay that never ceases. Time marches on, space (material items) are used and abused by humans, Physical and spirit beings are in perpetual attitude, emotional, sentimental, mood, activity change. As for God, I’m well aware of Malachi 3.6 ‘For I am the Lord, I change not.’ but I’m also aware of many verses like Hosea 4.7 ‘therefore will I [God] change their [children of Israel] glory into shame.’ God participates in these ups and downs. He cast the Cherub to Earth (a down), He originates the creation (an up). Ups and downs are the result of the interplay between all four components. In Audit of the Universe we discussed time and space and how created beings have a responsibility to manage them. Now we see that how these beings manage them has a direct relation with God. If they’re managed well then there’s an upswing, it they’re managed poorly there’s a downslide. We’ve seen the bara, healthy original creation. We’ve seen the downfall of Lucifer due to poorly using its resources. I’m going to start explaining the Genesis creation next week. The entire Bible is the story of these perpetual ups and downs of humanity. Soaring heights to cavernous depths both of individuals and nations. The graph below only details a few such events. Fill in many other episodes of ups and downs. Ups and downs of God and His relationship to created beings. You’ll notice that the upswings and high points are in green while the inverse is in red. God is obviously green but created beings are black … neither green nor red. That’s their plasticity. Some, like the Serpent and its followers have sealed their fate and are red. Others like Noah, Abraham, Moses, Christ have also sealed their fate and are green. I’m aware that all members of humankind are sinners and that would merit red but all will have access to God and grace, that’s green. For now, in our story humankind is therefore neither red nor green. Yes, Hebrew grammar but I promise I’ll keep it very short. It must be pointed out that the verb forms in the first two verse of Genesis 1 are different from the rest of the chapter. These two verb forms are used in different circumstances. The verb bara elohim – God created is in the quatal form indicating the type of text: Background, contrast, old information, direct speech. Wayyiqtol-qatal Biblical Hebrew verb forms and their particular usages. Necessary for understanding Genesis 1 Creation and Creation Week. Please note that the descriptions of these verb forms are not from Sam Kneller. The image on the right comes from my workbook from Classical Hebrew when I followed their courses online going back to 2010. The events of Genesis 1.3 and onwards for creation week are singular sequential events that start and end in the past. This is clearly different information and separate from the information in the first two verses. I hope you grasp the implication of this: Creation week is not the beginning referred to in Genesis 1.1. 1 In the beginning God created (qatal) the heaven and the earth. 3 And God said (wayyiqtol), Let there be light: and there was light. In this Biblical Hebrew lesson Sigal, the teacher, clearly explains the time-setting of these two verb forms. She concentrates on qatal and doesn’t mention the verb form of the first two verbs: watakam (And she arose) and watashav (and returned) but, they are both wayiqtol verbs. This illustrates exactly what happens in Genesis 1. The original events of creating the heavens (plural) and earth, the earth becoming void, without form covered with water and darkness took place PRIOR to the events we shall describe starting with Day 1 of creation week. Those first 2 verses include the creation of the Universe 13.7 billion years ago as well as the events of the Cherub downgrading to the Serpent and causing the tohu and bohu. Now you can better understand why the first word of the Bible, bresheet, is in beginning, not in the beginning. There are numerous beginnings, so to speak. I don’t want to go too far with this, but each time the graph above swings from a downward slide to an upward goal it is a beginning of a new phase of God’s plan. Obviously this is not the same as creation, but the principle is still present. In point 2 above there’s the chart of ups and downs. As you study the Bible make and complete your own chart. The above one only has a very few ups and downs. Just thinking about the various periods of Judges and the kings of Israel and Judah you’ll realize that there are dozens of these periods for nations. If you think about individuals, whether Biblical or otherwise, including yourself, you’ll also see how ups and downs (this plasticity) is so much a part of everyday life. Here is a resource by Bill Mounce that you can check out if you want to deepen your knowledge of Hebrew grammar. It can be helpful for you. I will not be taking that route but be my guest if it’s your cup of tea. Watch the short video above. It reveals the clear delineation of the two verb forms.